In preparation for Inbound Marketing Day, I decided to reach out to all of the sponsor agencies and businesses, and get their insight on inbound marketing. These agencies and businesses come from all sides of the marketing spectrum, from marketing agencies to software companies to design firms. Each has a unique story, perspective, and skill set, but one thing they have in common is helping their clients overcome challenges. 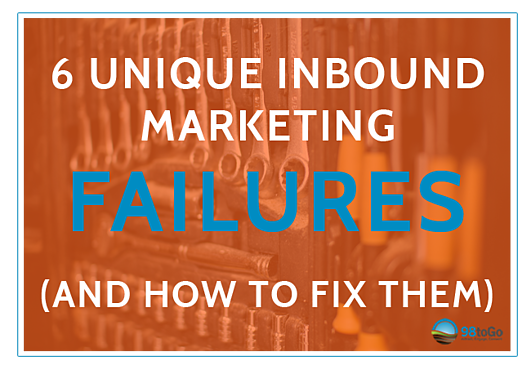 What area of inbound marketing do you see businesses failing at most frequently? And what can they do to fix it? Honestly, I was expecting a few of the responses to be the same. But I was surprised at the replies I received. Read on to learn from the experience of these amazing marketing professionals! I believe Inbound Marketing can include a tempting trap too many marketers fall into. Rushing towards "marketing automation" too soon is often a mistake. The marketing automation tools included with most inbound marketing solutions (including HubSpot) can cause marketers to overlook the opportunities of individual human-to-human engagement. There is a time and a place for automation but only when the need to scale and schedule requires it. 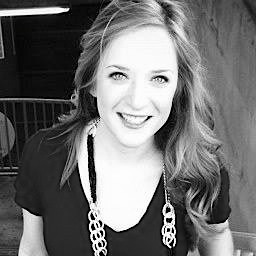 There's nothing wrong with reaching out individually to anyone converting on your content when you have the ability to do so. That interaction might accelerate the engagement straight to a sale or qualify for a more customized lead nurturing process. The more moving parts your marketing automation includes the more it helps to have real people at the controls adding heart and humanity into the mix. I see and have experienced small businesses who FAIL to follow through. Eagerly, these business owners STARTED a marketing program but STOPPED it within a few months. They claimed "not enough results" or "don't have enough time or money to continue". In many instances, these owners were a few weeks or a few months away from hitting gold. Their impatience, or quite frankly their lack of education, tripped them up. Results were about to happen - new leads, new customers and incremental revenue - but stopped abruptly. I think it's CRITICAL for us marketers as service providers to FIX this. The fix can be fairly simple. If we are offering marketing services it is critical to communicate and consistently educate the business owner. This means more emails, weekly phone calls and perhaps more face-to-face meetings. Each is designed to update progress on goals and to REMIND them that some marketing programs (such as inbound marketing) takes months to generate significant results. One of the most common Inbound Marketing mistakes we see is the lack of regular use of metrics to evaluate and adjust inbound marketing efforts over time. A lot of “spray and pray” still happens, even when they use a marketing automation platform. Companies update their website, start a blog, issue a white paper, sprinkle some Calls-to-Action, send out some emails, and then expect the leads to pour in. But too often there isn’t a coordinated and consistent review of agreed performance metrics – from page ranks, to page views, to blog subscriptions, to social media engagement, to conversions by CTA, to Marketing Qualified Leads - that together are used to agree next steps to improve overall performance. And one significant element of this failing is not including Sales in reviewing lead quality and working with Marketing to establish ways to improve the quality of leads provided. Often times when people add video to their inbound marketing campaigns it's in the form of a single video. This video is then put either everywhere on their website or it is hidden and buried under multiple sub-pages. This is such an unfortunate situation because you're making it impossible for visitors to view your video. When you add video to an inbound marketing campaign begin with the conversion goal. One video should have a single conversion goal. You might be able to receive multiple types of conversions based on that video however you should focus on one. An example would be a corporate overview, business profile, or "about us" video. This video will be most often watched by viewers that are early in their purchasing process as well as throughout their consideration and final decision-making phase. This video should be leveraged on your about us page and linked to in your email marketing campaigns. The goal of this video is to establish your "why" (see Simon Sinek). If you can only afford one video, then I would recommend a brief corporate overview video to help jumpstart your relationships with your visitors. This video will not necessarily I help your SEO efforts directly to attract leads, but will help your visitors convert into leads and move through your sales funnel faster. Throughout my public relations and marketing communications career, I have seen many business professionals become so focused on communication tactics that they lose track of their message. Marketing automation tools are powerful. However, we must get our business story straight and understand our target audiences to be credible and engaging and achieve measurable business results. When we consider the interests of our target audiences, our marketing content as well as our social networking activity will be more pertinent and valuable. We will attract and engage more qualified business contacts when we begin with clear positioning, whether we are publishing, sharing or commenting on other content. We can use technology to publish content then measure and analyze results. This inbound marketing approach enables us to attract more qualified leads and respond and nurture relationships with more of the content that our customers are seeking. One of the biggest areas in which we see businesses failing at inbound marketing is when they look at aspects of marketing as individual silos – social, web, email, etc.. They don’t have a bigger plan and strategy in place for how those individual aspects should tie into a more comprehensive plan. For example, clients will say “well, we have a Twitter” - but they don’t have a explanation for why they are on Twitter and they don’t have a plan for how that ties into their overall strategy to help them achieve business goals. At Ingenium, we like to answer the why and then expound on that by tying value and return on investment to every marketing action. And there you have it. The insights from these 6 experts are not just valuable for other similar businesses. They are valuable for ANY company who is looking to grow their business using the inbound marketing philosophy. The advice here can be applied to businesses large and small, new and established. The fantastic thing about inbound marketing is that it truly levels the playing field and gives any business who is willing to do what it takes to create and promote relevant and quality content, a chance to win new customers. Live In Atlanta? Check this out before Thursday March 5th, 2015. Live outside of Atlanta? Check this out to help your marketing forever!